Comments: Blue daze is a subshrub that produces a mound of blue funnel-shaped flowers in spring and into the summer. 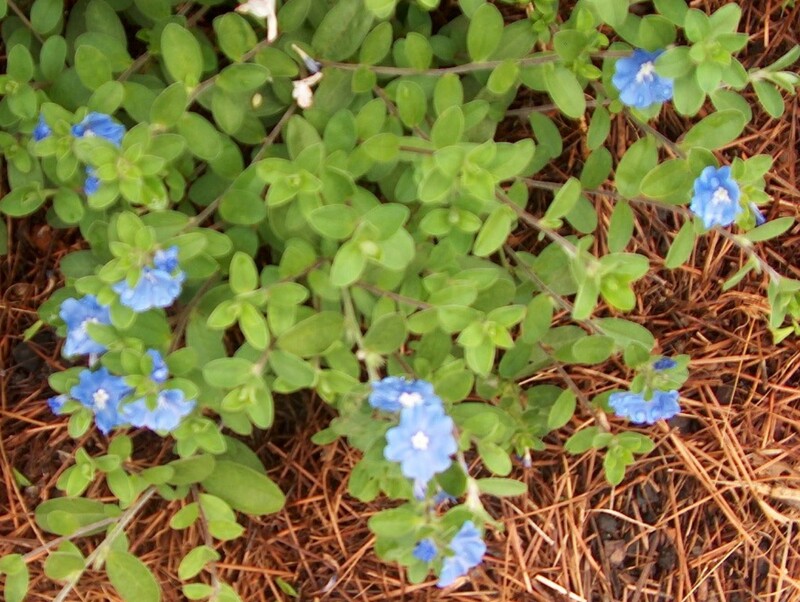 The foliage and stems are covered with short down fuzz given it a felt-like texture. Plant in full sunlight and in porous, well drained soils and do not over water because of the danger of rot. This is a good bedding plant and also does well growing in containers where the stems can cascade over the sides of the container. It does well in hot weather.